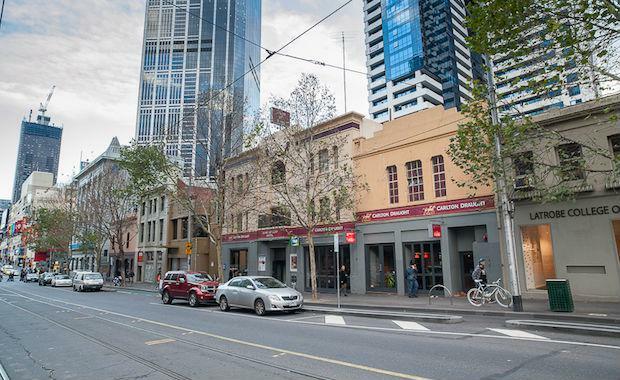 An iconic site in Melbourne’s CBD has sold for $28,000 per square meter to Singapore-based company, Figtree Real Estate. The unique site offers huge potential to Figtree, with a preliminary development scheme already undertaken by dKO Architecture in conjunction with Urban Pty Ltd proposing 322 apartments with ground floor retail, which is subject to planning approvals. The corner site is in a prime location with three frontages to La Trobe Street, Sutherland Street and Flanigan Lane. Handled by DTZ’s Patrick O’Callaghan and Richard O’Callaghan, the campaign generated over 100 enquiries. “We are witnessing incredibly strong demand for development sites in the Melbourne CBD and city fringe markets, with competition between local and offshore developers continuing to drive prices to record levels such as this,” says Patrick O’Callaghan. Figtree Holdings Limited Managing Director, Danny Siaw, said that they are very excited to have secured such a centrally located site within the world’s most liveable city. "This acquisition is in line with our company strategy to secure and develop signature buildings in strong overseas markets," said Mr Siaw. The site is positioned near some of the city’s most high profile residential developments including Republic Tower, Fulton Lane, ICD, EQ Tower and MY80.